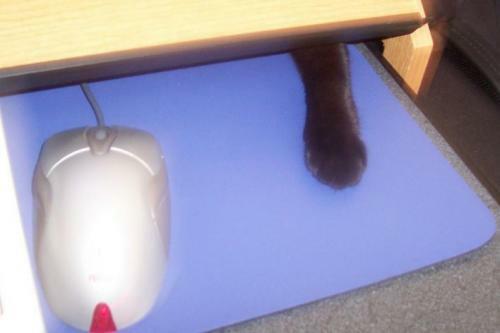 I always hear from cat owners how much their cat loves the various computer peripherals. True! My cat loved swatting at the noises inside the printer. Yeah, I’ve Got A Cat That Sits On Top Of The Monitor, Looks Down, And Attacks My Cursor. While My Other Cat Sits On The Keyboard.